First Meeting: Learning more about each other. Our first meeting typically revolves around ‘data collection’, both financial and lifestyle. Knowing your current situation and goals are key, as all future advice will be based on this critical starting point. A clear vision of where you want to be will also provide greater depth and meaning to the decisions you make in the future. Upon conclusion of our initial meeting we commence collating and verifying the information provided. This is where we take a much closer look at your financial position and get into the details. The more information and insight you can share with us, the better we can ensure we cover all bases for you. Based on the information you provide we’ll take the time to review and match against your lifestyle and financial goals, circumstances and priorities. 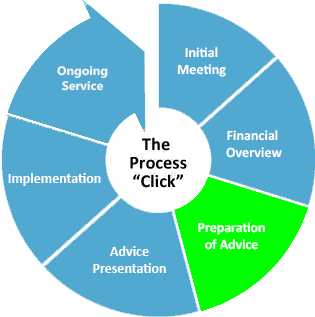 We’ll use this information to prepare a full personal assessment and financial overview. 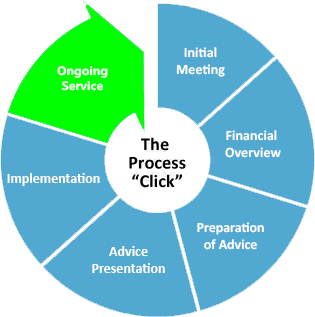 We explain your options and work with you to determine the optimal strategy approach. 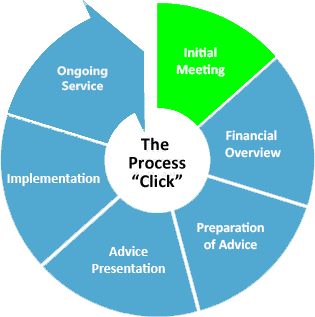 During this meeting we will agree our fees and charges, and document this in our Advice Agreement. Once you have formally given us the approval to move forward, we continue the research and analysis phase, including the production of a ‘Statement of Advice’. 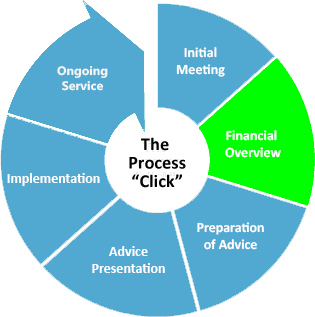 This document will form the basis of your investment and lifestyle decisions and will also address key areas such as your goals/objectives, investment, superannuation, cashflow, taxation, estate planning, social security, and insurance strategies. At this meeting we’ll present our recommendations and provide you with a Statement of Advice, taking you through your strategy from concept to implementation. 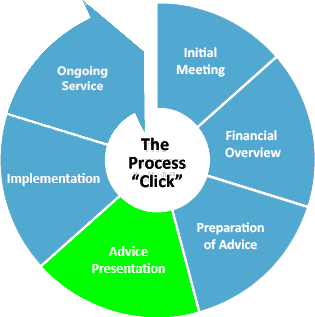 During this meeting, we encourage our clients to ask plenty of questions and make any necessary changes to the overarching strategy. We implement your Statement of Advice. 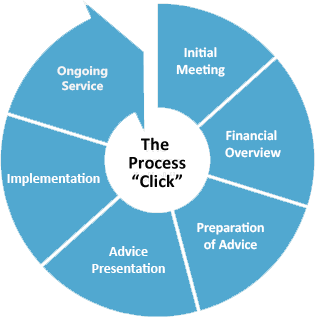 If you are ready to proceed with our advice, we assist you in completing the necessary documentation (if applicable), including possible collaboration with other professionals such as your super fund providers, insurance providers, Accountants, or Lawyers. Ongoing Service: Reviews & Communications. Following on from our third meeting and the implementation of your Statement of Advice, we will be available to answer any lingering questions that you may still have and to ensure that you fully understand and are completely satisfied with all aspects of your advice received. 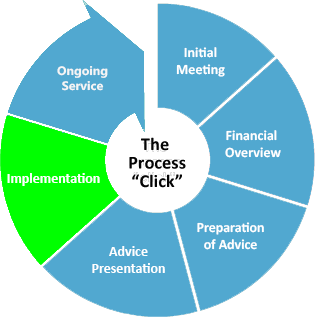 Beyond the implementation of your Statement of Advice, we will meet at agreed intervals to benchmark progress against your stated objectives. Of course, we will also keep you informed of any relevant changes and market developments on an ongoing basis.